Going to the theater is more and more like watching a movie. Plays are constructed around snippets of scenes that appear to have been edited together. The underscoring of music and effects make it necessary to amplify voices to the point that they sound piped in from another locale. Lynn Nottage’s “Mlima’s Tale,” which opened Sunday at Off Broadway’s Public Theater, brings to mind Simon Stone’s “Yerma,” now at the Park Avenue Armory. Both plays, while very different in theme, are like watching a movie. Stone, who also directs “Yerma,” sets his play in a glass box that replicates a screen. 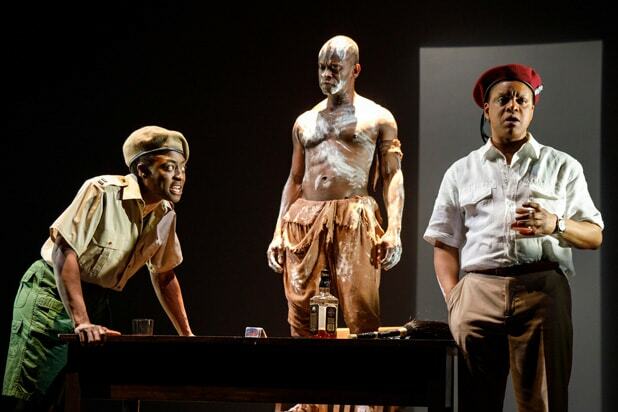 Jo Bonney’s arresting direction of “Mlima’s Tale” connects the many scenes of Nottage’s play by using moving screens, as if to wipe the stage like a movie dissolve. 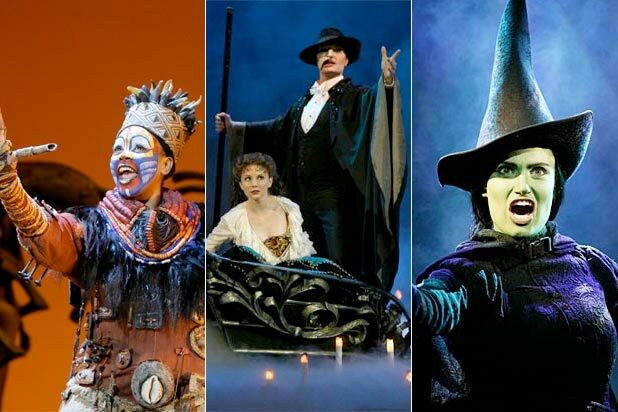 Both productions are not only heavily miked but the actors wear those hideous around-the-jaw microphones used in the tackiest of Broadway musicals. In the case of “Yerma,” the rock-star mics are necessary because the actors are literally acting behind glass. Also, the Armory is immense. “Mlima’s Tale,” one the other hand, is staged in one of the Public’s 199-seat theaters. The excessive miking blends the various sounds in Bonney’s staging. Everything, from the actors’ voices to Darron L. West’s sound effects to Justin Hicks’ singing and music, flows out completely homogenized. But something is lost, and that something is the aliveness of theater. Fortunately, what makes “Mlima’s Tale” not movie-like is that an actor, Sahr Ngaujah, plays Mlima, an old male elephant that’s about to be poached in Kenya. Never for a moment does Ngaujah’s performance suggest that animal’s lumbering heavy grace. The actor moves more like a slowly stalking big cat; nonetheless, Ngaujah’s truly balletic movements fascinate and his baritone speaking voice is mellifluous. Even though Ngaujah never sings, his Mlima seems to be offering us a long mournful ballad. Nottage’s poetic opening scene takes us inside Mlima’s head as he wanders the savanna, wary of poachers and sending out signals on how to behave to the younger elephants, especially his female mate, Mumbi, and their children. Let’s forget for a moment that old male elephants wander the savanna alone because they’ve been replaced by younger bucks, whom, we can only assume, the Mumbis of the world prefer after raising “the children” without any help from their male mates. Nottage is better at anthropomorphizing her lead elephant than she is any of the humans who later appear. Each of those characters is little more than a stereotype of corruption, greed or willful ignorance. There is one inspired, and no doubt unintentional, detail. Mlima, the elephant, has been wired with tracking devices. Likewise, Ngaujah, the actor, is hampered and his performance domesticated with cumbersome wires taped to his bare neck and back, that gross around-the-jaw mike scarring his handsome face. Nottage borrows the structure of Arthur Schnitzler’s “La Ronde.” Instead of syphilis being passed from one couple to the next, however, it is Mlima’s gigantic tusks that travel from Africa to Asia to the foyer of a billionaire’s apartment in the West. “La Ronde,” including Max Ophuls’ classic 1950 movie, is something of an acquired taste. The structure is so schematic that it bleeds the story of any tension. While the relative ease of poaching might be Nottage’s point, the journey of Mlima’s tusks is so drama-free — a quick bribe takes care of any problem — it’s a wonder elephants aren’t already extinct. In that respect, despite its many cinematic elements, “Mlima’s Tale” would not make a good movie. There’s little less risk involved for any of the characters. What propels the story forward is Ngaujah’s presence. Although silent after the elephant’s murder, the actor rarely leaves the stage. He wanders around, transferring the guilt from one participant to the next. Bonney and designer Riccardo Hernandez also dazzle with their sliding-screen segues between the play’s many scenes. And Lap Chi Chu’s always dramatic lighting embellishes that scenic choreography. Only three actors (Ito Aghayere, JoJo Gonzalez and Kevin Mambo) play more than a dozen characters. In the very beginning, before the “La Ronde” structure asserts itself, the multi-casting creates confusion. Is the poacher now an inspector or is he still the poacher?